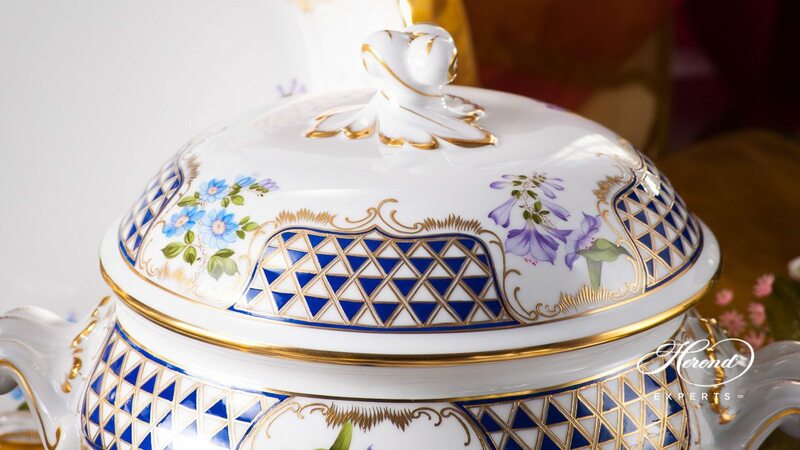 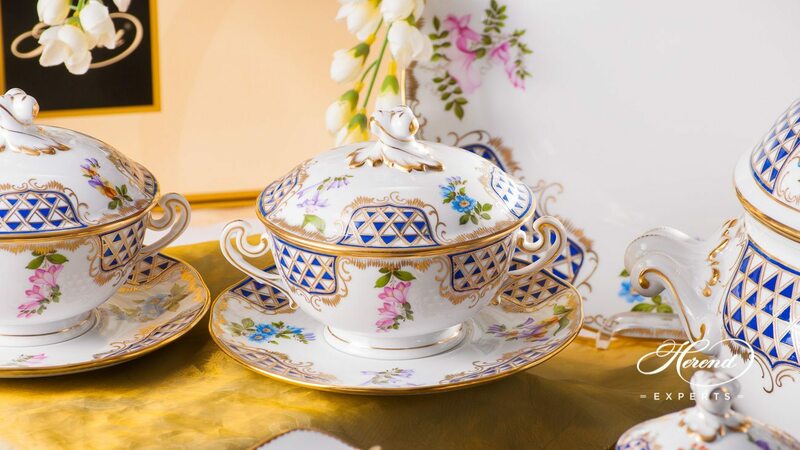 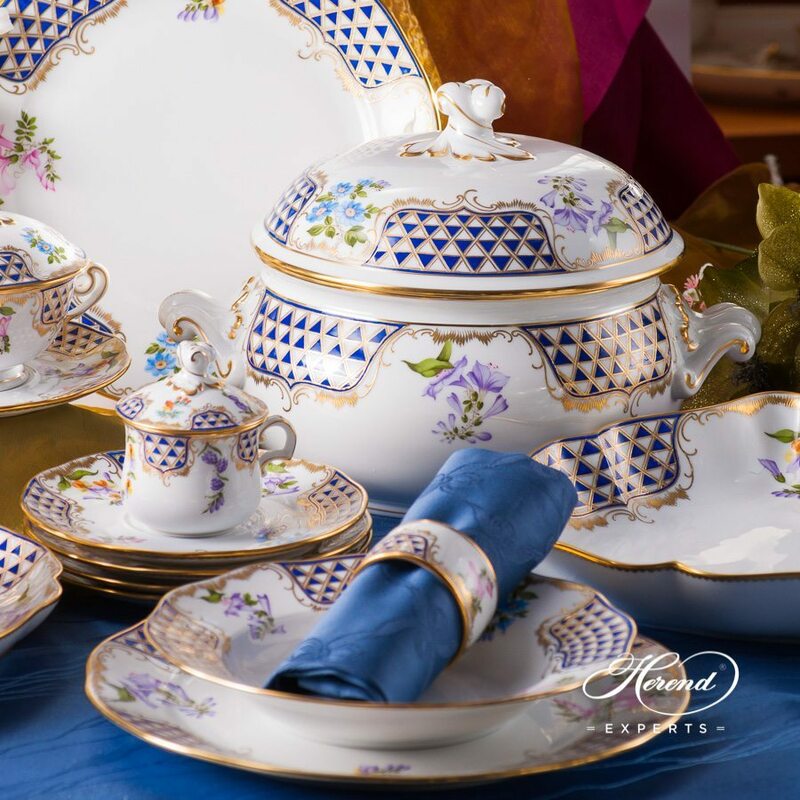 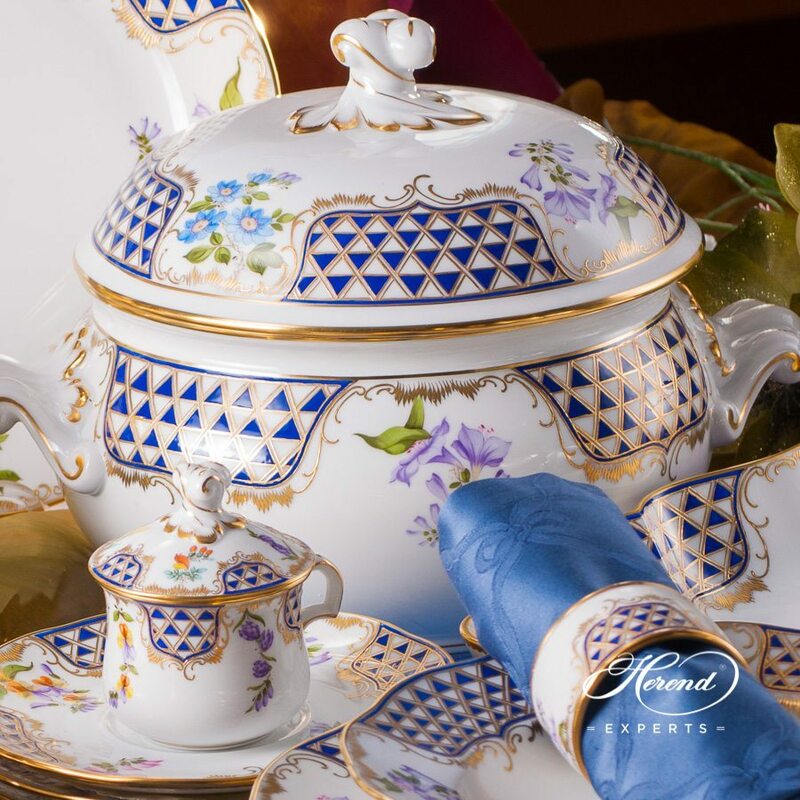 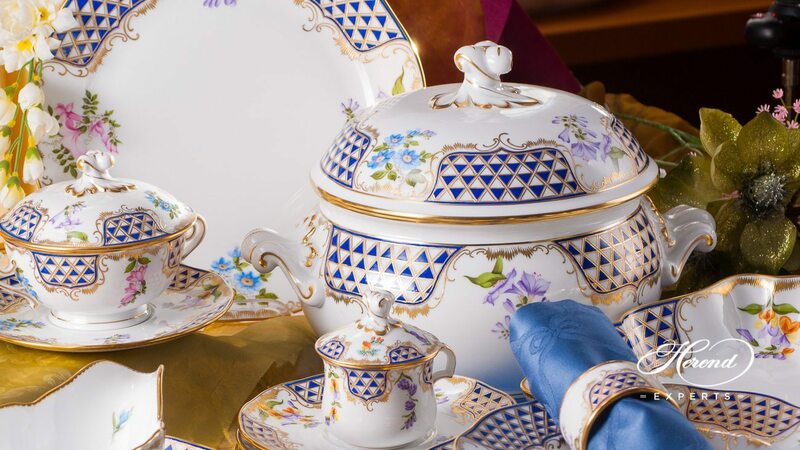 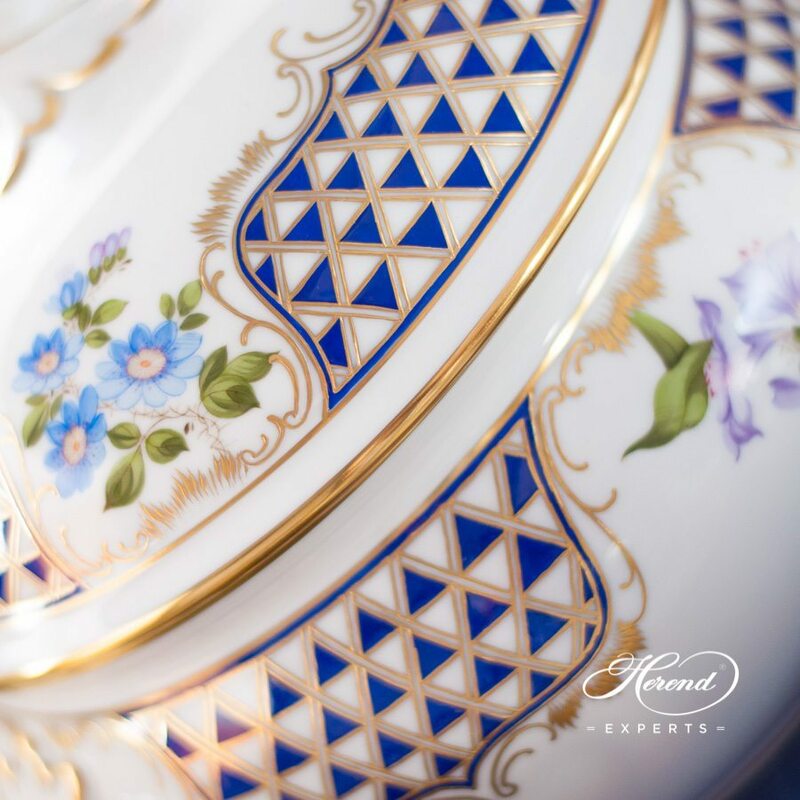 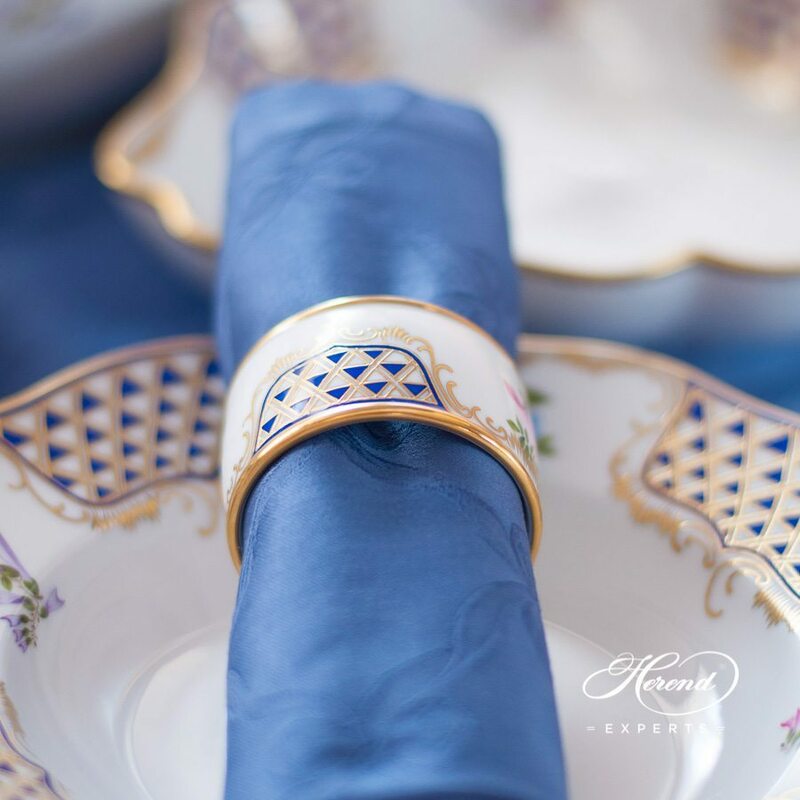 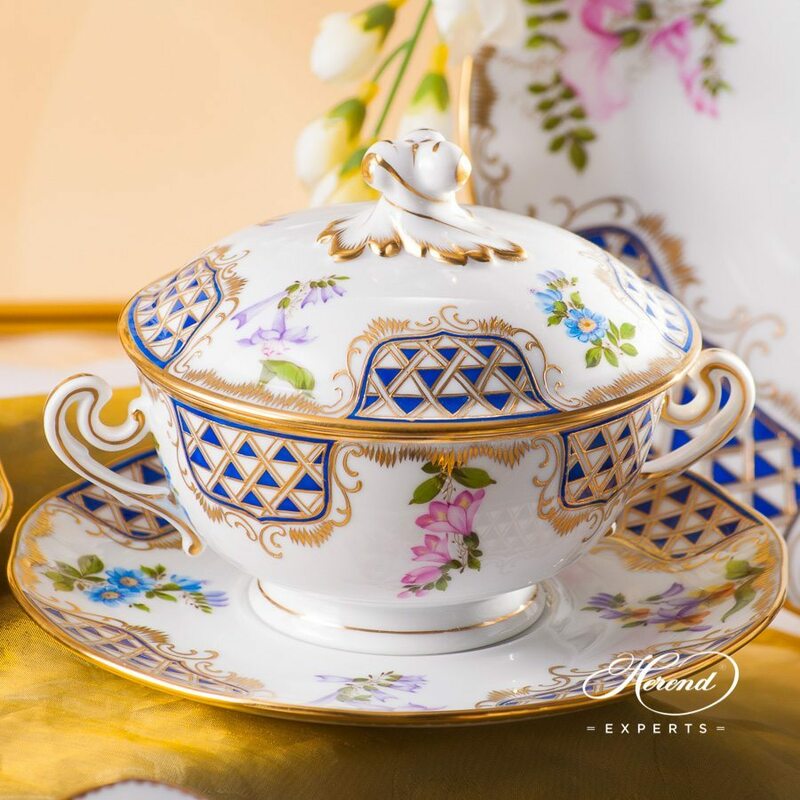 Herend porcelain Dinner Set for 4 Persons - Herend Mosaic and Flowers MTFC pattern. 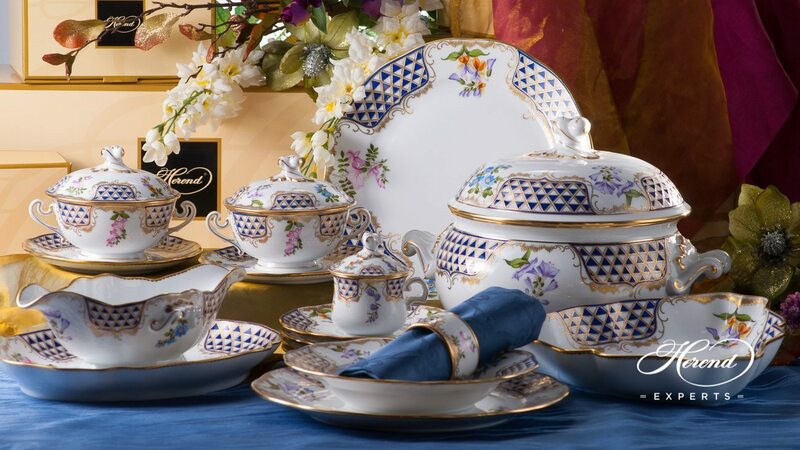 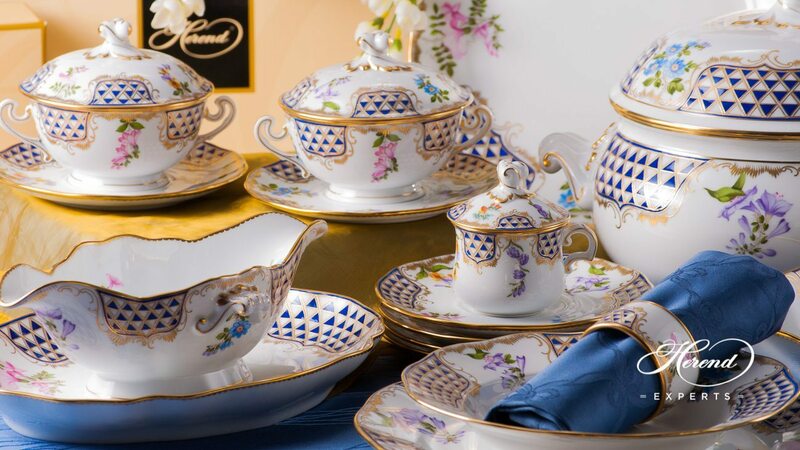 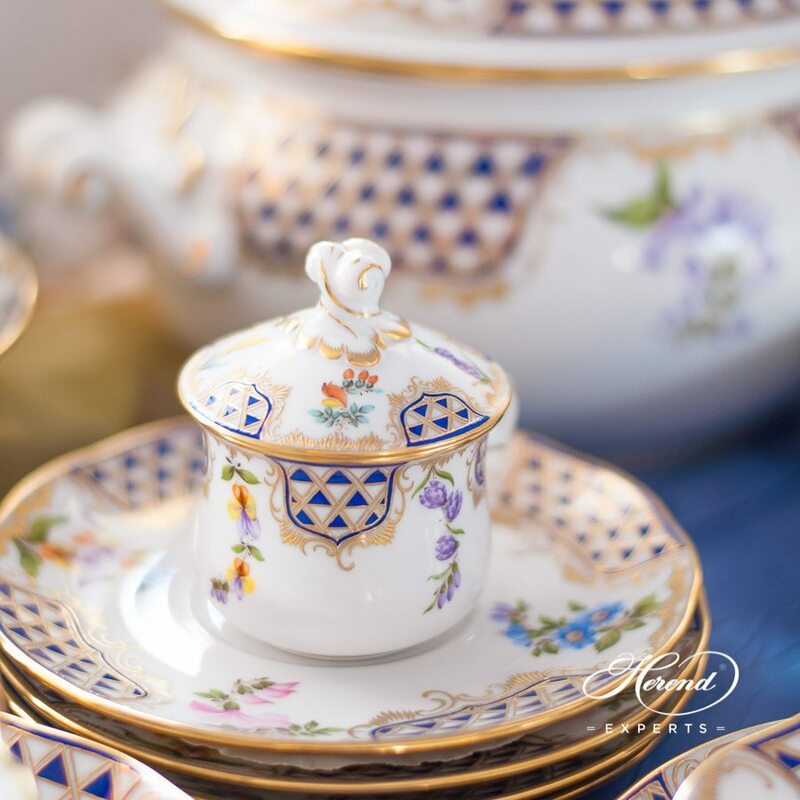 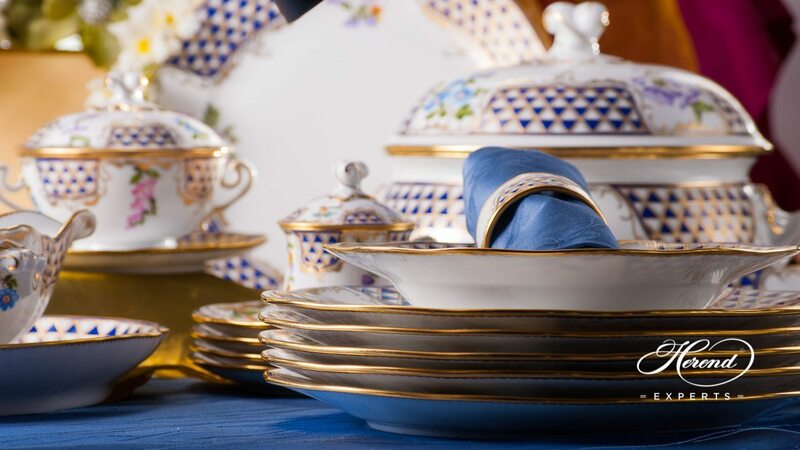 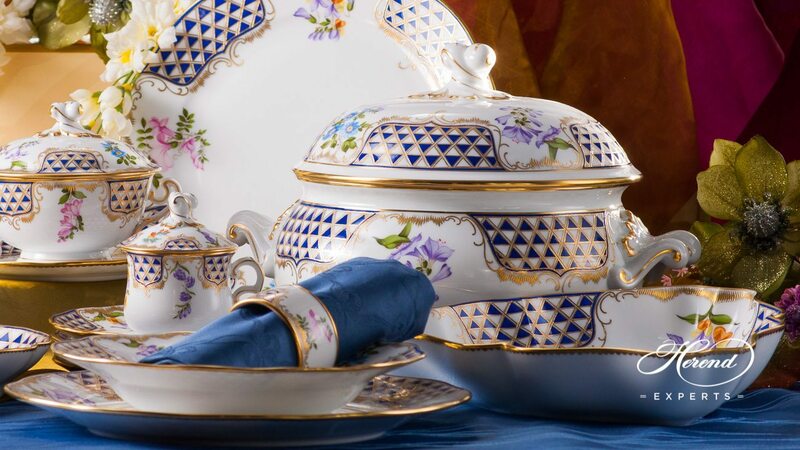 The Mosaic and Flowers MTFC pattern Dinner Set is available for more persons as well. 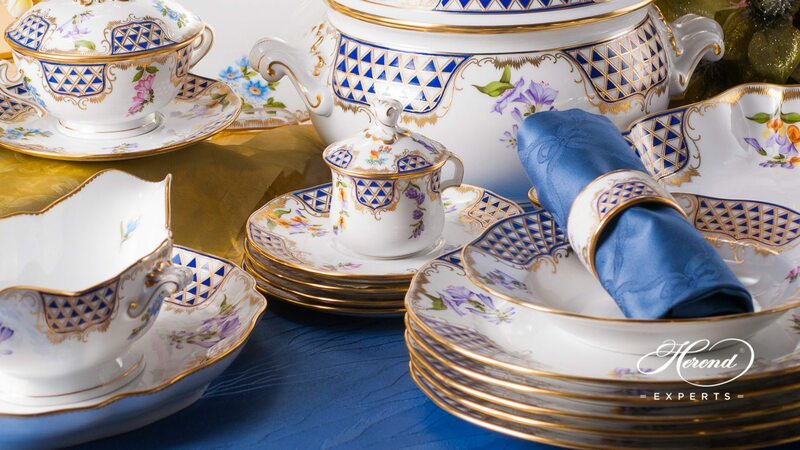 Mosaic and Flowers MTFC decor was the favourite of the German Duces in the early 19th Century. 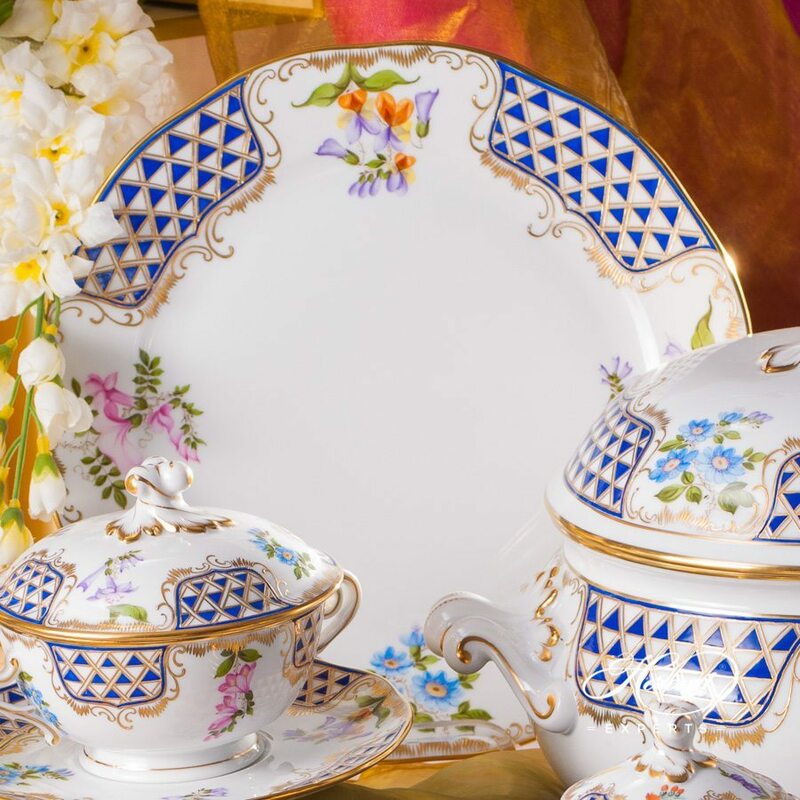 The charm of the set Mosaic Triangular Fleurs des Champs is guaranteed by the rhythm of flowers and geometrical elements.